Know anyone who’s not on Instagram yet? Probably not. In fact, for most of us, Instagram’s news feed is the second thing we see in the morning. The first one is probably the wall next to us. Anyway, with over 800 million users worldwide, Instagram is not optional anymore for brands and businesses: it’s a must in your digital box of weapons. And if that is not enough, you should know that, compared to other social media platforms, Instagram has the highest audience engagement: providing brands with 25% more engagement. So, what does this mean? Well, not to sound too dramatic, but Instagram is your prime channel to build your brand. I bet you can’t wait to hear some tips on how to build an engaged Instagram following in 2018, right? Let’s dive in. #1 What’s your style? Your theme? First of all, you need to set the tone of your Instagram page: your style, the overall mood and the feel of your account. Are you going for a more dark, black-and-white kind of look? Or over the top colorful and bright? Maybe natural images and minimalistic style is what you’re looking for? Whatever your choice might be, you definitely need to decide on a color palette and therefore, the type and style of your photos/videos to share with your audience. I believe examples are the best way of getting a clearer picture. So let’s go over some Instagram accounts and understand the vibes they’re sending out. Welcome to Ucraft’s Instagram page. As you can see, we’re all about creativity, bright colors and artistic solutions. 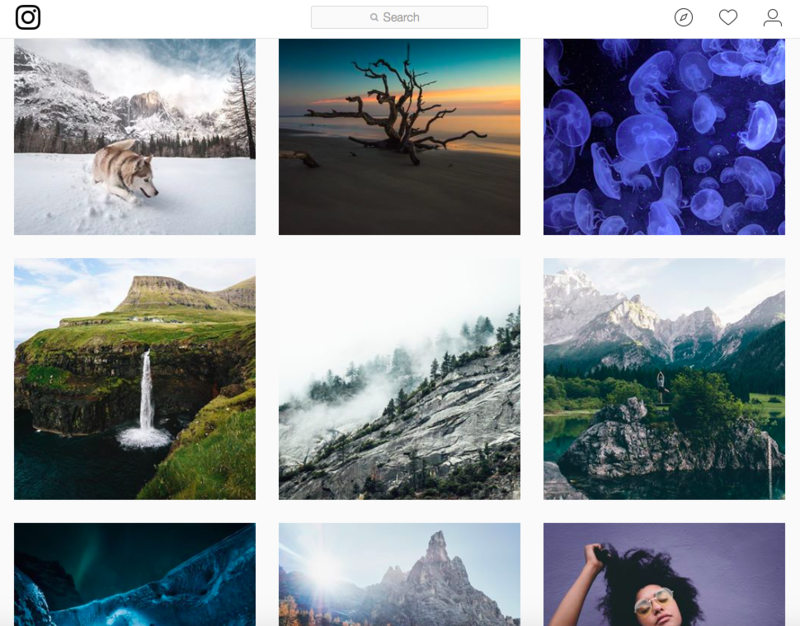 Or meet Unsplash’s Instagram: more realistic and inspired by nature. 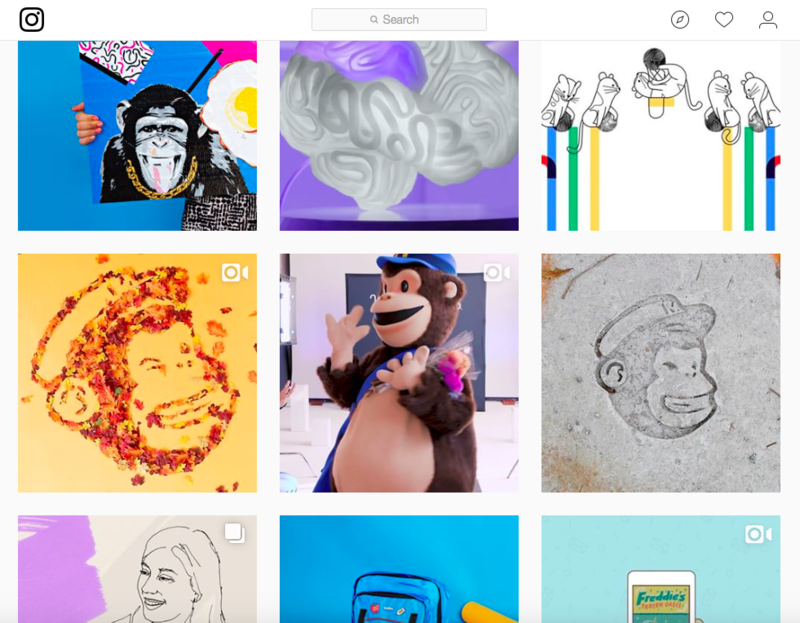 And here is Mailchimp: feel the love toward their monkey? But seriously, they got a mix of animations with real-life images, and a lot of videos. Some filters engage more than others? In fact, let’s take a moment and talk about filters. Did you know, that the Instagram community responds to certain image filters more favorably than others? According to Iconosquare, here are the 10 filters on Instagram that are really hot right now. And of course, you can never go wrong with normal, non-filtered images. 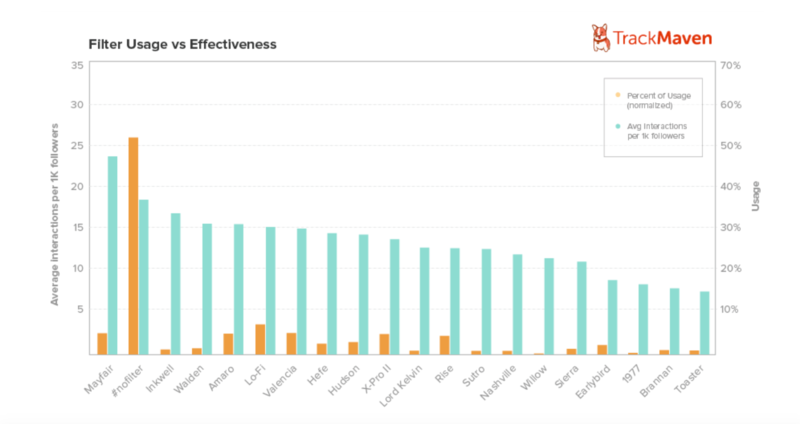 Moreover, a recent study by TrackMaven about Instagram engagement shows that filters Mayfair, no filter and Inkwell drove the most interaction. But don’t base all of your filter decisions on this: every Instagram account, just like every brand with its target audience is different. So something that works for others, might not be a great fit for you. Do your own research and see which images engage your users. Moving on to the theme: what’s the core essence of your posts. Ask yourself, “what do you want your account to be known for?” Does your brand have any strengths you would want to show off? Identify those: not a lot, up to 5 things is enough. Then make sure to always post images regarding those things. Keep in mind that your account needs to be catchy and at the same time descriptive to hook your visitors the second they view your account. Even though everyone wants to have a feed that is easy on the eyes and looks just great, that’s not enough for your brand. 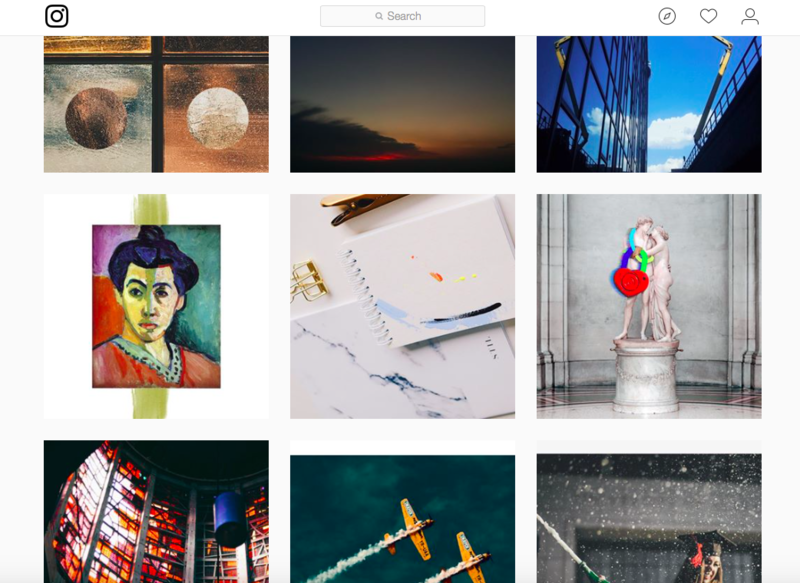 Users should also be able to find your Instagram account with no hassle, don’t you think? So, you got to use hashtags: and not just any, but strong and relevant ones. Take a look at this mix below: this gives a little guidance on what kinds of hashtags you can use. For example, let’s take a look at this lovely post of ours. The description says what we are about and is also relevant to the image. The hashtags are descriptive, they mention our industry and our brand name. Overall, it’s a pretty great post, agree? If you’re having troubles coming up with creative and powerful hashtags, there are tools you can always use, like Websta. Want a little note? Generally, two-word hashtags are better targeted than one-word hashtags, like #websitebuilder. So better go for those. Another important part of creating an engaged Instagram following is posting at the right time. One way of doing so is analyzing what has and has not worked for your account in the past. But if you want more of a professional approach, find tools that can do that job for you, like IconoSquare. You will get a detailed analysis of your posting history and engagement in the optimization section. That way you can find the best time of the day as well as the best days of the week to post. One thing that I find works best is giving your users a behind-the-scenes moment: whether it is showing who your team is, a sneak peek to your office routine or what’s going into making of the product/service you provide, your users love to see all of that. It works like telling your story: and people engage best with real-life stories. So give your users a look into your business, make them feel like you are not just an untouchable brand, but you are one of them. And you can do that with Insta stories. Take shots of your employees eating lunch, giving final touches to a new product and more. You’ll see how your engagement raises in no time. You know how building influencer relationships can help gain an Instagram following? Well, they usually have huge and strong communities around their personal brands. They can simply influence their audience to follow, like and even choose certain brands and businesses. A simple post, telling how much they liked your product will drive their following to your Instagram account. And you will get users that are already interested in what you do to your zone: that’s why it would be logical for you to gain them as engaged followers. When you’re done creating your perfect Instagram account with quality content and images it’s time to promote it on other networks. You can do that on your Twitter, Facebook and other social media channels. 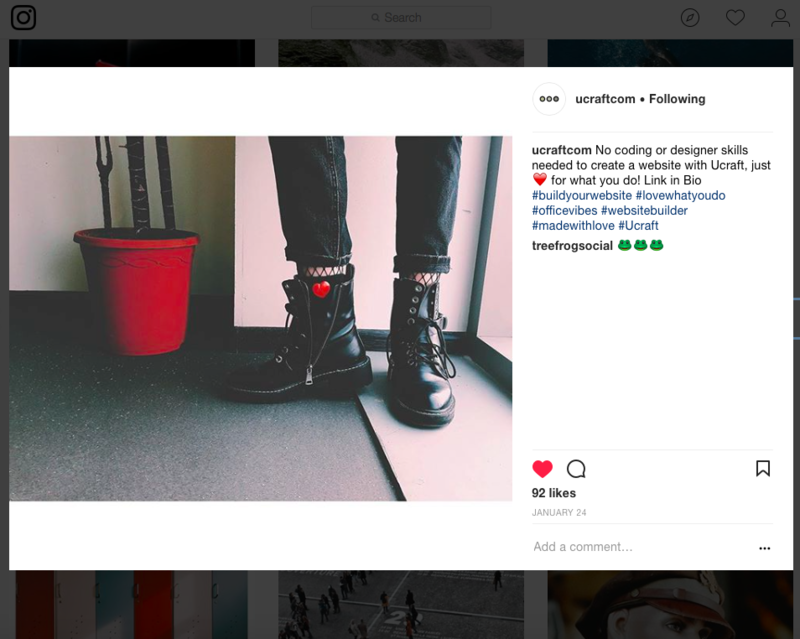 Also, you can add the Instagram social icon on your brand’s website and drive people to your Instagram account right from there. They will be quality followers since they already know about you and have chosen your products/services. 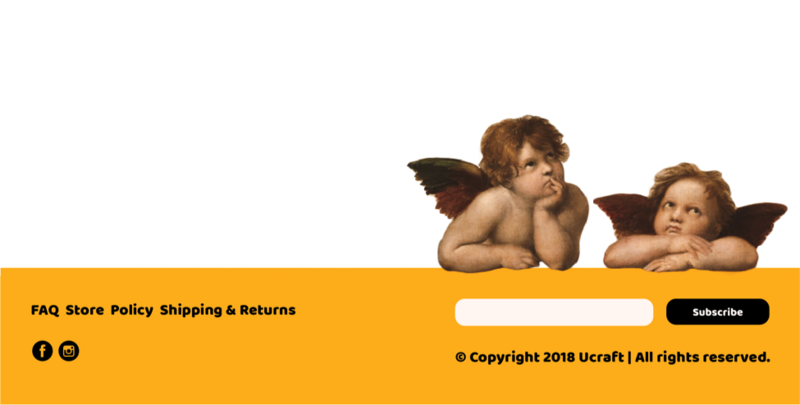 If your business doesn’t have a website yet you can create it with Ucraft, add an Instagram follow us icon, which will redirect your site visitors to your Instagram account. And that’s not all: you can also add your Instagram feed to your website. For example, this is one of our templates: See. See how in the footer there are social icons set? And here, in our Dude template we added an Instagram feed: you can see how yours will look on your website. Did you know that 40% of Fortune 100 companies are using Instagram? Well, that definitely tells you something. So be sure that with the right Instagram marketing plan you can build an engaged Instagram following and drive great return for your brand. Just stay true to who you are, I mean, who your brand is. Share content that reflects your brand’s personality, awakens emotions and makes your users feel like they are a part of your story. Oh, and don’t forget about emojis: they can be pretty powerful too! Already have a website with Ucraft? Make sure to add social icons and share your Instagram feed on your site. Wondering how to add images from your favorite social networking app? And if you don’t have a website yet: what are you waiting for? Simply pick a template of your choice and get on creating your company’s online business card.